‘As one door closes, another opens,’ my Dad always used to say. Especially when I split up from a boyfriend (‘Plenty more fish in the sea’ was another favourite!). 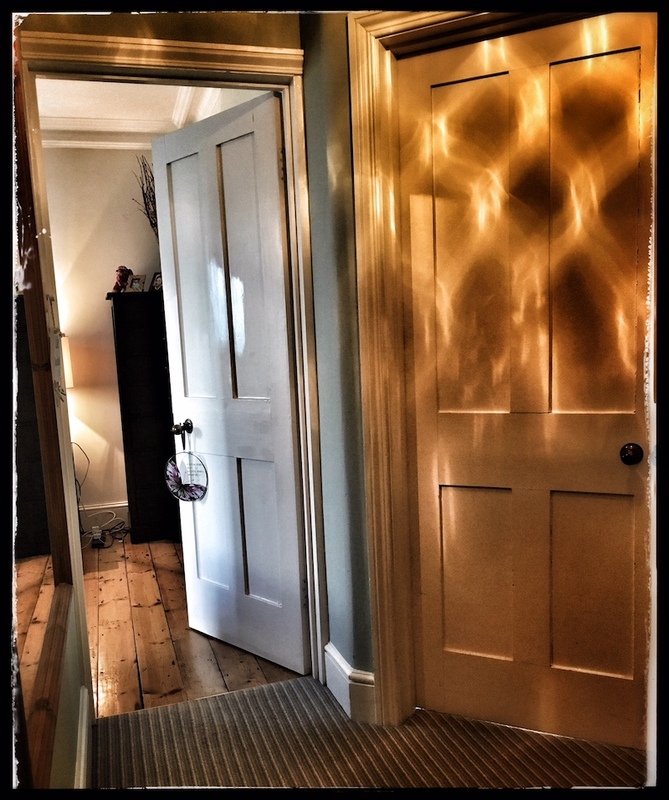 Recently I’ve had a number of doors closing and as such I’ve been pondering on how to deal with it at the time, as the slam whacks me hard on and I’m ready to tumble. What is a healthy mindset to have when things ‘go wrong’? Even if they appear small things (my house sale fell through recently), it’s so easy to have a downer, especially when you really, really thought you wanted something to happen. What I think is true, is that whatever happens in life, there is always a lesson to be learnt, and there is always something unexpected and positive around the corner to come of it (however small). Oftentimes I find that (what we perceive) as negative outcomes turn out not to be so at all. The outcome may be very different from what we had hoped, but who’s to say different is not better? For me, it all centres around expectations and perceptions (as per Tim’s recent happiness equation blog!). I remember listening to a wonderfully inspiring speaker who had lost his legs in an accident. It had taken him on a path of helping others and discovering who he truly was, and he said quite clearly (this was five years later), “ I would genuinely not change a thing”. His expectations for his future and life had changed, as had his perceptions of his present situation. So recently when those little daily ‘life things’ have gone wrong, I’ll be honest, I have the usual lurch of the stomach, the slight nausea, and often a good old cry. It’s OK I think to acknowledge I just feel sad, disappointed, and hurt right now. In the past however, this would have been followed by days of self-flagellation. If only I had sent a different pitch to the broadcaster, they would have loved it; I should have just rented the house, not tried to sell; and why on earth didn’t I look after myself better so I didn’t get ill? I’d turn it on myself: I wasn’t good enough, I could have done better. Followed by the, ‘why is this happening right now, this isn’t fair?’. Now, I stop myself before this kicks in and the wallowing takes over. I take some time out, and remember that below the surface turmoil, there is peace. I try to be kind to myself and think, ‘what would I say to a friend if this had happened?’. On this note do take a look at Kristen Neff’s lovely video on self-compassion: The Power of Self-Compassion. Then I try and re-centre myself and think what is the best way to look at this? What does this really mean, rather than what I perceive it to mean right now in my disappointment? I try to change perspective. What can I do differently? What unimaginable yet positive things could come out of this happening? instead of what you think it should be. So what looked like it could have been a quite difficult week has already turned out to be A-OK. Why? Because I’ve re-looked in my head at how I perceive the events of the past 7 days and considered the endless positives that may occur. So my mind is happier. Oh and a different but fabulous broadcaster is interested in my idea! And who knows, I may even end up living by the sea.